Teaching Traditional Japanese Martial Arts in Southern Maryland since 2005. Darrell Grant holds the rank of godan– 5th degree black belt – and has been appointed Shidoin (Instructor) by Aikikai’s Hombu Dojo in Tokyo. He is Chief Instructor at Southern Maryland Aikido Center. Darrell began studying aikido in 1992 under Richard Wagener Sensei at Palm Beach Aikikai. In 1999, he relocated to Waldorf, Maryland, and began training with Clyde Takeguchi Shihan until opening Southern Maryland Aikido Center in the Fall of 2005. Darrell holds the rank of Shodan in Kiyoikaze Iaido Federation, and is also a Nikyu in the United States Naginata Federation. 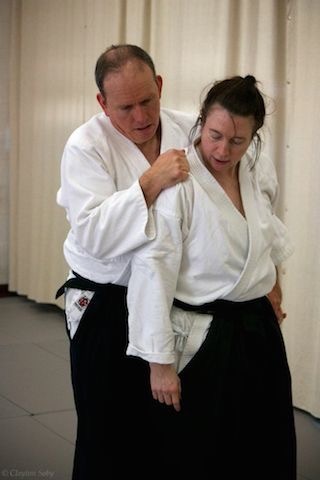 Donna M. Grant holds the rank of yondan and is a Fukushidoin (Assistant Instructor). Donna began her aikido training in 1994 at Palm Beach Aikikai. 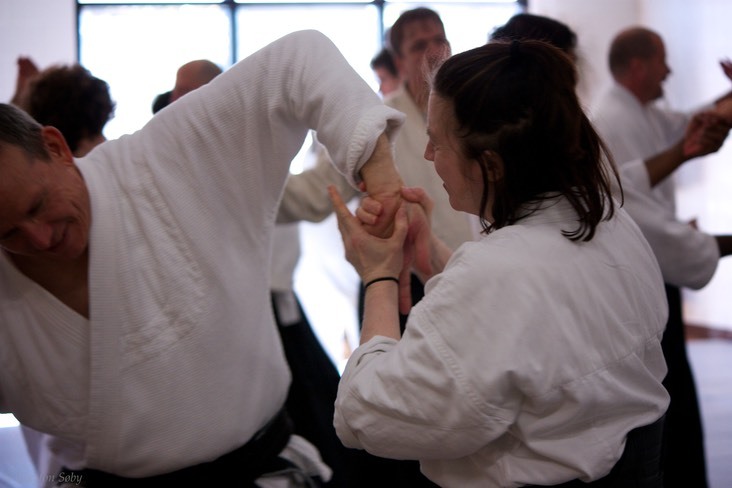 In 1999, she relocated with Darrell to Waldorf, Maryland, and began training with Clyde Takeguchi Shihan until the opening of Southern Maryland Aikido Center. Donna has also traveled and trained at Hombu Dojo in Tokyo. Donna is a Shodan in Kiyoikaze Iaido Federation and is also a Nikyu in the United States Naginata Federation. In addition, Donna is a RYT200 Certified Yoga Teacher.